There is no denying, Spring is my happy season! And Spring means showtime down the countryside. Nature reveals itself to us: grass blades perking up under the rising temperatures, new shoots sprouting from branches, wild flowers unfolding gracefully and balleting their way to our hearts, casting shimmers, pimples, dots, or more dramatic circles of colours across the fields, prairies, verges, roadsides, hedges. It's a Jackson Pollock floral delight across the countryside! Down the villages to the city, market stalls are getting interesting too. Perfectly-formed baby potatoes, new season onions, fresh and delicate asparagus, tender stalks of young rhubarb, nicely-presented strawberry punnets and freshly-picked cherries are all fighting for our undivided attention and titillating our culinary cravings. Flower bouquets are pulling at our heartstrings too, and to take one home is akin to taking a slice of Spring indoors with us. It's instant sunshine for the kitchen table or the dresser piece, an instant focal point and a shot of vividness that will brighten up our interiors. 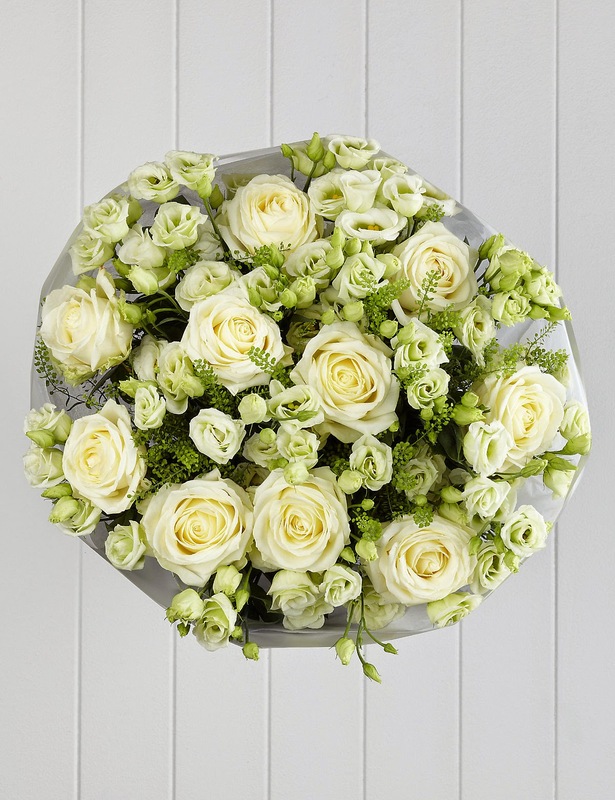 It's also a quick mood fix that will make us feel bright and cheerful! In the same way that chocolate does to us, ladies, in Winter... Yum-double-Yum! Source: All photos via M&S. 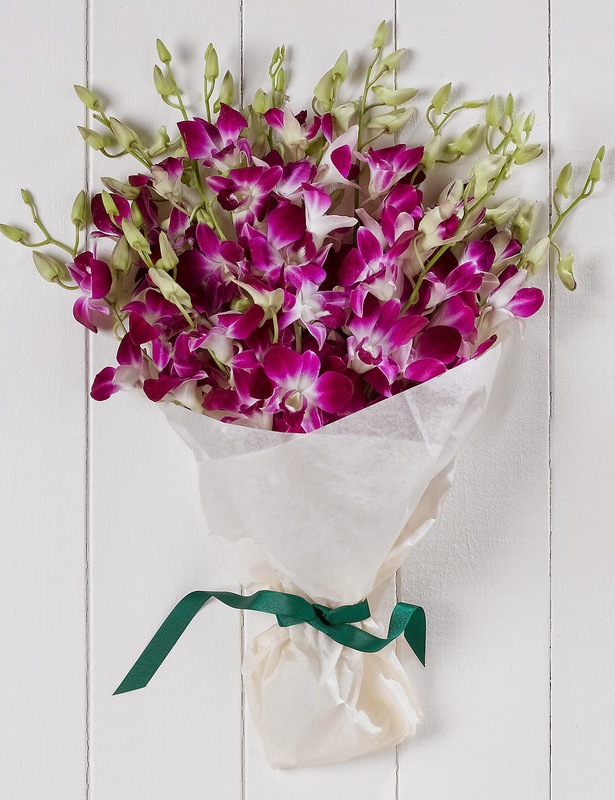 (1) Dendrobium Orchid Bouquet. 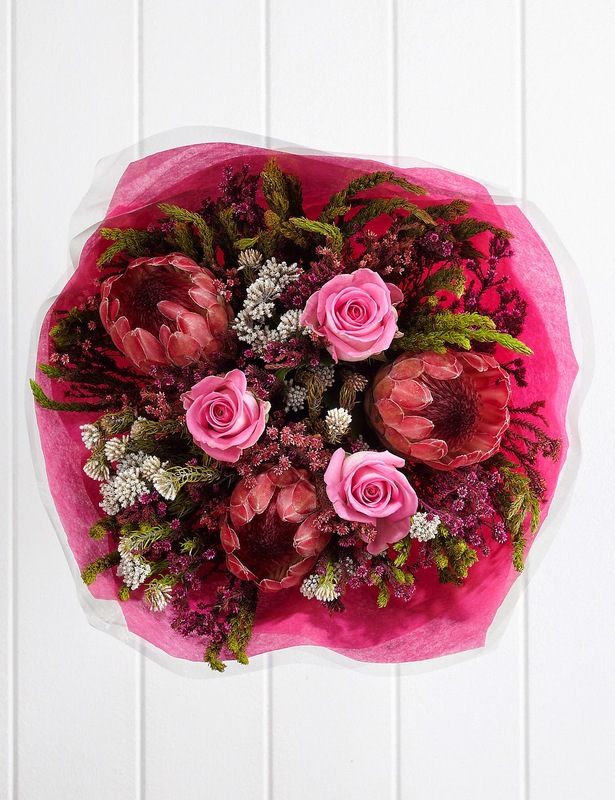 (2) Cape Flora Bouquet. 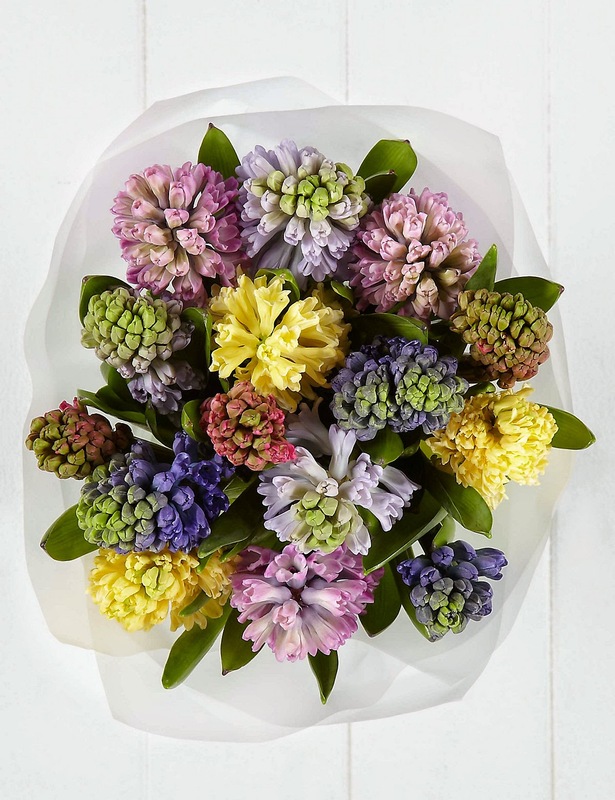 (3) Autograph Speciality Hyacinths. (4) Autograph Avalanche & Lisianthus Bouquet.